A handful of conservative and religious groups met with Trump administration officials this summer and urged the White House to move forward with a pending rule that would roll back the Affordable Care Act's requirement that employers include birth control in their heath care plans without charging a co-pay, according to open meeting records. The rule is expected to be released soon. Who's met with Trump officials: Researchers at the Heritage Foundation, lawyers at the First Liberty Institute, and lawyers at the Ethics & Liberty Religious Commission. Each group has fiercely supported stripping away the ACA's birth-control mandate. Between the lines: These are Trump-friendly groups, and some members have had roles in the administration. Their meetings add weight to the belief the rule will move forward as drafted, and prompt legal fights from women's rights groups. 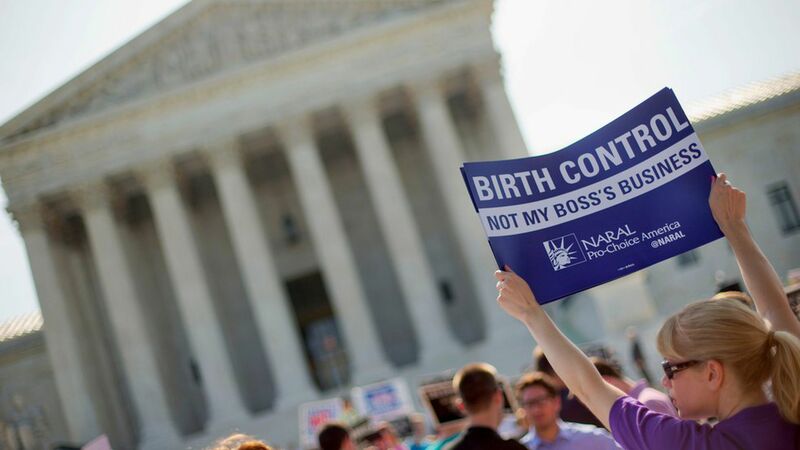 Some background: The ACA mandates employers and health plans cover various forms of contraception, such as birth control pills, at no cost to employees. However, some churches and religious employers are exempt from the rule. This past May, Vox published a leaked draft regulation that would broaden the birth control mandate's exemption. The groups that met with the administration over the summer praised the rule, according to meeting handouts, and asked it be finalized in its draft form. On the other side: Representatives from the American College of Nurse-Midwives and liberal group Generation Progress also met with Trump administration officials. The ACNM asked the White House to withdraw the proposed rule, arguing it would bring "new and unwarranted, discriminatory intrusion of employers into the health care decisions of their female employees" and would "undoubtedly limit access and coverage of reproductive health choices to the detriment of women and their partners." Lawyers at large church benefit administrators like Concordia Plan Services and Wespath Benefits and Investments also met with federal officials.